Now the temperature has dropped a few degrees, it really feels like winter is on its way. And that means its time to have something cosy to put on! Cashmere really does feel extra warm and cosy, and its SO soft! The best thing is it's now available on the high street as well as in the more expensive brands, and it's really worth paying a bit more for a jumper with cashmere in it for that extra bit of luxury. Here are my 3 of the Best recommendations, at differing price points. & Other Stories - Cashmere Sweater £95. Zara - Cashmere Sweater £89.99 also in navy. 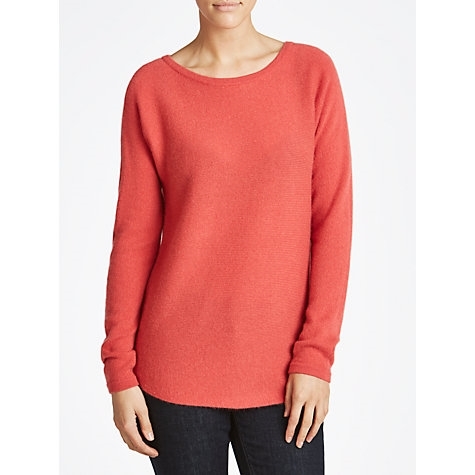 Weekend by MaxMara - Bastia Cashmere Jumper £164.